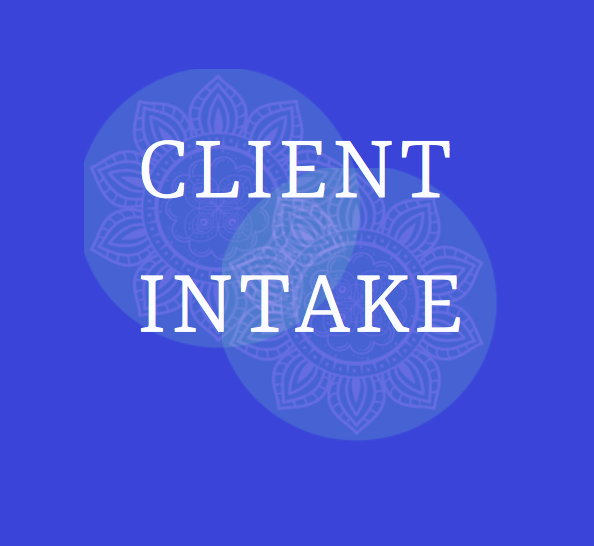 A client intake can be informal, with just name, address, phone number, email address & date of birth. It can also include a client agreement. This is where you create an understanding between you (the therapist) and the client as to what to expect re: confidentiality, management of client files, fees, cancellation policy. 1. When a client seeks help, and we accept a person for such care, it is essential for both to be working towards the same objective. We do not offer to diagnose or treat any disease. We offer methods of restoring balance to your body and mind as a way of helping you achieve your goal and live the life you deserve. If you desire diagnosis for a symptom we will recommend you seek the services of an allied health care provider. By law a ….. may not provide a medical diagnosis or recommend discontinuance of medically prescribed treatments. 2. The provision of …… services entails the collection and recording of personal information relevant to your current situation. This information is a necessary part of your assessment and treatment protocol. 3. ACCESS: Any information gathered, recorded, and filed is available upon request. Confidentiality: All personal information gathered during the session shall remain confidential and secure except if: 1.It is subpoenaed by a court, or 2.Prior approval has been obtained to: Provide a written report to another professional or agency. e.g. a GP or a solicitor, or Discuss the material with another person. e.g. a parent or employer. 4. CANCELLATION POLICY: The appointment time reserved for you is exclusively for you. Please arrive promptly to obtain your full session. We require a 48-hours notice of cancellation. Unless cancelled with 48 hours or more notice, you are financially responsible for the time reserved. If you must cancel, or reschedule, an appointment due to an emergency, please notify us as soon as possible, we understand that ͚things͛do happen. If you do cancel with less than 48 hours notice, “full payment “for your next session is required before we will schedule a new session, regardless of reason. Thank you for your consideration and understanding. 5. LATENESS POLICY: Lateness of more than 15 minutes results in cancellation of appointment, unless otherwise agreed upon. This time has been exclusively set aside especially for you and we want you to get the full benefit. Please note: arriving 10 minutes late, without your paperwork, will result in cancellation of your session, as well. 6. NO SHOW: In the event of a no call/no show situation, in addition to Cancellation/Lateness Policies, the client will be charged for the full session cost. "